I love working on all sorts of projects, some are long and lengthy and there is a real enjoyment in seeing something grow. However sometimes I want a quick fix. Generally when I feel like this - I chop the leg hems off a pair of jeans and wash them, giving them an instant new finish. With this jacket I simply cut the arms off and folded back the fabric about an inch and a half and sewed in place. The only thing to do than is wash, this will roughen up the edge and create a great finish. Note also with this jacket I added pockets. 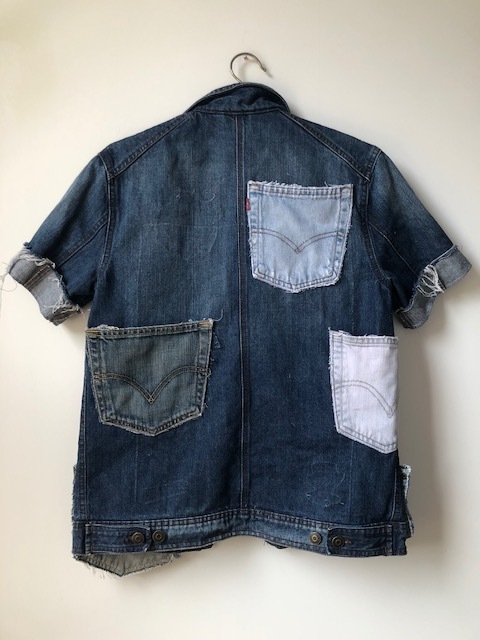 Now, when I am looking at recycling jeans there are certain areas that can’t be patched - the crotch - and when this has happened I use the denim as a piece of fabric. 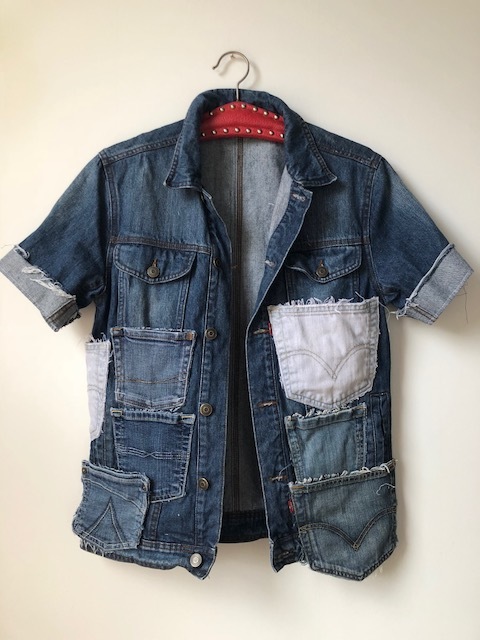 I will take off any features that can be used else where - pockets are great to reuse! With this jacket I just added them, the only thing that stopped me adding more was the weight of the jacket. I simply placed the pocket on the jacket and sewed around the sides and bottom of the pocket thus allowing the pocket to still be of use 😊.